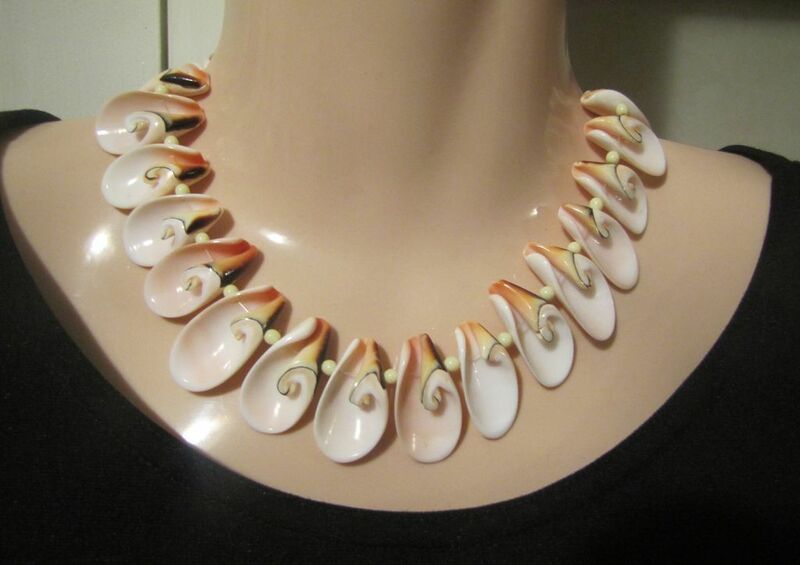 This is an absolutely gorgeous conch shell necklace. It is very unusual and and large. 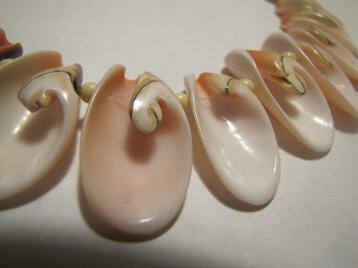 The shells have beautiful colors and designs through-out and are nicely curved. 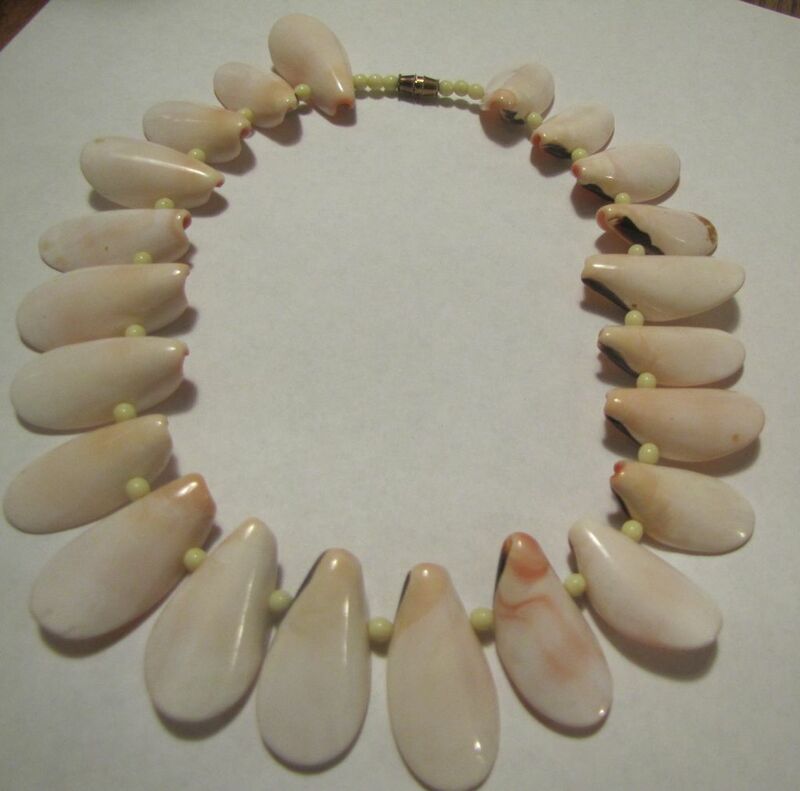 Inter spaced between each shell are small white beads which makes the necklace lay very nicely. 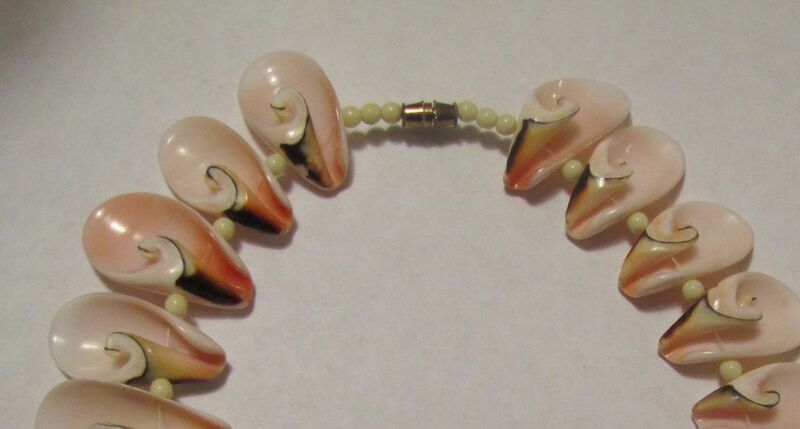 It has a barrel clasp which is not magnetic and probably brass. In size it measures 19 1/2" long with each shell measuring 1 1/2" in length by 3/4" wide. 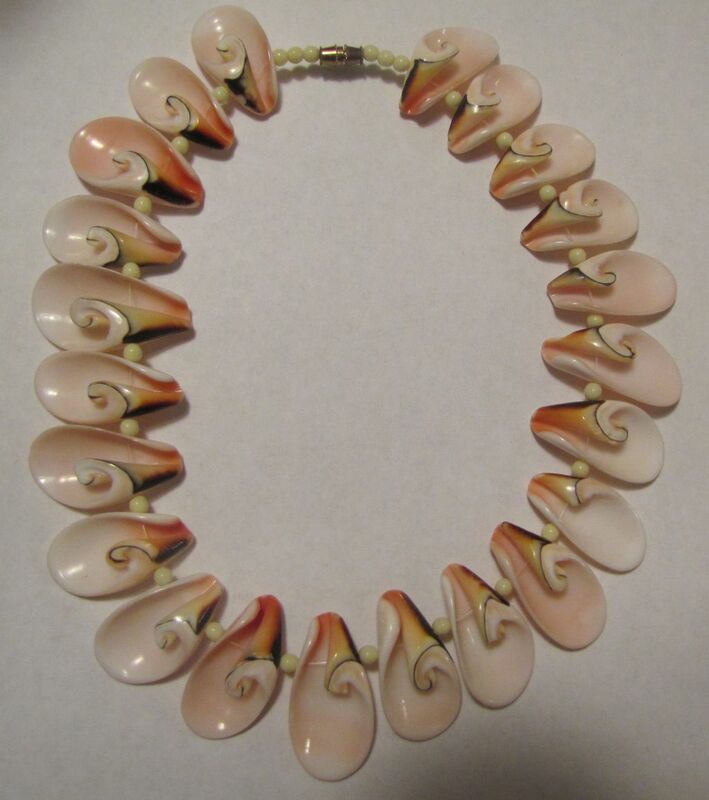 I purchased this necklace at an estate sale.